The 7.9-inch Apple iPad mini is among the most wanted devices for the upcoming Holidays, and soon it will ship in its 4G LTE version. The real question is when exactly and good news is that it might be sooner than expected. Some of the first pre-orders are now confirmed to arrive on Friday, November 16th. Earlier, customers reported shipping times between November 21st and November 23rd. 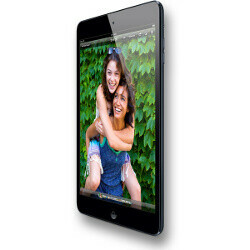 Apple did not announce a specific release date for the iPad mini with LTE, but said that it expects to ship the 4G version of the tablet around two weeks after the launch of the Wi-Fi only version. Prices for the LTE iPad mini start from $459 for the 16GB version and go up in $100 increments for the 32GB and 64GB version. The Wi-Fi-only version of the tablet is priced starting from $329. I luv lte. So fandroids, do any of your 7 inchers have lte. Answer:no . Too bad you guys are still stuck up with 3G. I will soon be a very satisfied lte ipad mini owner! Can't wait! Just too excited! Correct me if I'm wrong but I'm pretty sure there's a 7 inch Samsung with lte. Poor fandroid! Enjoy your cheap malware infected OS. Interesting. 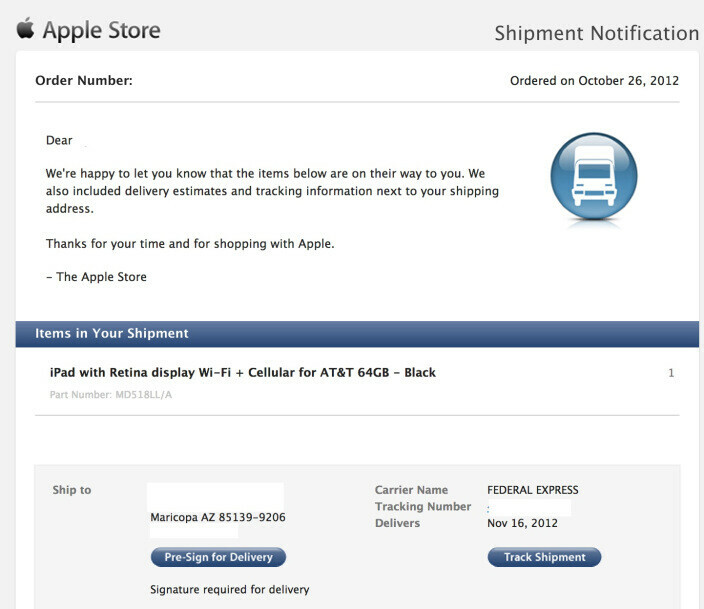 I ordered an iPad mini for a friend on October 26th as well. Yet my order status has delivery on November 21st. I wonder how many October 26th orders will have the earlier ship date? I suspect you are not completely out of money. Probably more like higher priority items are ahead of iPad mini, eh? Shoes? Handbag? Clothes? Going out with friends? And, and, and. Good catch! A thumbs-up to you. I feel better about not getting as much love from Apple for my mini order. I have checked a few other web sites tat were running a similar story. It seems they were all linking back to the same source. I have checked with 2 other friends who ordered the LTE iPad mini on October 26th and they are showing delivery on November 21st. I am not claiming predictive ability; just that I doubt LTE iPad mini orders placed on October 26th will deliver on November 16th. Anyhows, the 16th is around the corner, so we will know soon enough.